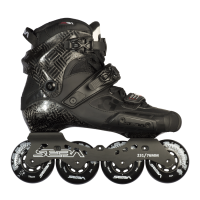 HIGH BLACK The mythical slalom skate is back in black! 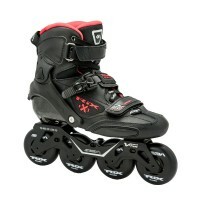 Slalom skaters all over the world have already adopted these skates. 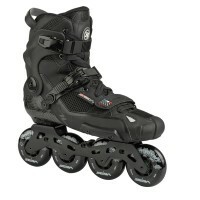 DETAILS Boots: Plastic shell with soft cover plastic cuff adjustable in 4 (four) positions. 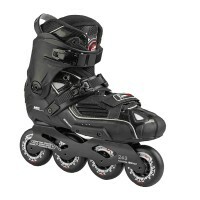 Closing: FK aluminium ..
HIGH LIGHT CARBON The legendary Seba High skates revisited and converted for ultimate performance Carbon skates make a real difference in terms of weight precision and support DETAILS Boots: Carbon fiber + fiber glass shell with soft cover plast..
TRIX (80, 90) Very comfortable, precise and light, this skate is ready for fast city skating and some nice freestyle tricks. DETAILS Boots: Carbon fiber + fiber glass, Triangle plastic cuff Closing: Top power strap + SEBA double strap + toe str..
TRIX PRO Technical Details : Shell : Carbon Fibre + 5 holes energy plates Color: Black/Red Options : TriX Custom color kit Frames : V Rockered frames 231mm (4x76): 34-39 sizes; 243mm (4x80): 40-47 sizes Wheels : Trix 76mm/85A: 34-39 sizes; 80..
IGOR 10TH ANNIVERSARY BLACK"iGoR 10 : limited edition for the 10th anniversary of SEBA. Available in Black or in White. 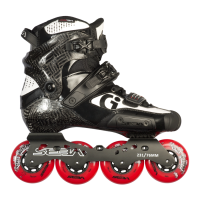 Size: 34-47 Technical Details : Shell: Carbon fibre Color: Black or White Options: High custom color kit Frames: Deluxe..
IGOR 10TH ANNIVERSARY WHITE"iGoR 10 : limited edition for the 10th anniversary of SEBA. Available in Black or in White. 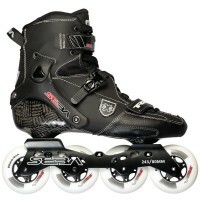 Size: 34-47 Technical Details : Shell: Carbon fibre Color: Black or White Options: High custom color kit Frames: Deluxe..